This version of the NFCA Manual supersedes all others, both online and hard (printed) copies. 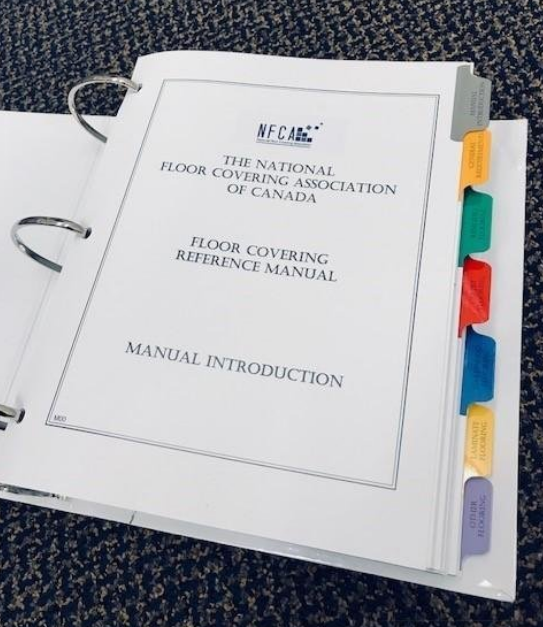 These standards were first issued in 1980 and adopted by the National Floor Covering Association of Canada in 1988. They have since evolved into a respected and recognized information source for floor covering specifications, procedures and installation practices. The content is written in Master Format to support all construction parties involved with the installation of Carpet, Resilient, Hardwood, Laminate, Cork and Bamboo floor coverings and related scope of work. NFCA members can register for free access (click top right corner 'Log in/Register') and do not pay the annual $100 maintenance fee to remain registered. Registration must be made using a recognized, member company email address eg: jdoe@xyzfloors.com. Members of local provincial associations that are affiliated with NFCA will not be charged the $400 access fee but will be charged the annual $100 maintenance fee. Note: members of affiliated flooring associations registering with unrecognized email addresses must get pre-approval or they will not be approved. Non NFCA members pay a one time fee of $400 + GST, plus $100 per year annual registration. For more information and free sample sections, or to buy now, click here. Once payment and registration is received, approval for access will be issued via email and the links below will become active.